Nothing brings to mind evil like the idea of Nazis. The righteous anger that flows at the mere mention of the name is true, especially in the world of Hellboy. But alongside that is another name that conjures up similar ire and fear: Rasputin. 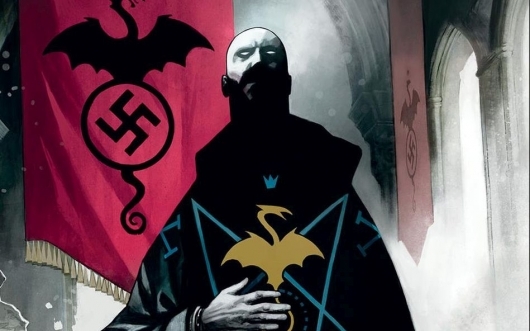 In Mike Mignola‘s Rasputin: The Voice Of The Dragon #1, we witness an allegiance form of the most diabolical sorts. During a vicious xenomorph outbreak, terraforming engineer Derrick Russell leads a group of survivors onto a rickety mining vessel. They hope to escape the creatures overrunning their colony, but they’ll face horrors both in space and on the strange planet they crash on. From critically acclaimed writer Chris Roberson and artist Patric Reynolds (Colder), Aliens: Fire And Stone #1 is the first issue in a blockbuster crossover event that ties directly into Ridley Scott’s 2012 film, Prometheus, as well as the Alien and Predator franchises. Thanks to the fine folks at Dark Horse, we’re giving you a glimpse inside the first issue, which you can view here below. Aliens: Fire And Stone #1 is on sale September 24, 2014 and is available for pre-order now. I’ve been a fan of the Man of Bronze for over thirty years, having discovered one of the books in a local used bookstore. Those pulp stories were like gold (or maybe just bronze) to me. I still feel like the character is the literary equivalent of comics’ Batman. A normal man with perfectly honed skills, strength, and intellect. 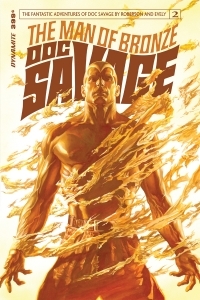 So it should come as no shock that I asked to review Doc Savage: The Man Of Bronze #5 when I saw it in the review list. And being a long-time fan, I dove straight in. Here’s my take on this issue. Dynamite’s The Shadow is a retelling of the Walter B. Gibson stories best known from radio plays that starred, among others, Orson Wells. As a comic the stories take on a new life. I was a fan of the radio programs so I asked to see what this new Shadow might be. 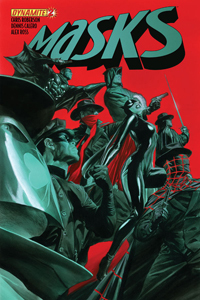 The cover art by Alex Ross is spectacular, invoking the period and sensibility of the 1930s around the start of WWII. I found the heavy-handedness of the line art by Giovanni Timpano to be evocative of the older comics I have seen like Sgt. Rock books from the ’70s. 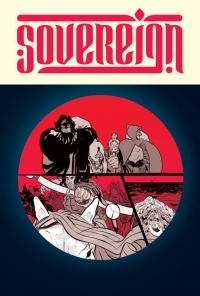 Touting a comic as “an epic fantasy in the tradition of Game of Thrones,” means the creative team has some very high standards to meet; and Sovereign has the potential to truly do just that. From the creative team of Chris Roberson and Paul Maybury, comes a new epic fantasy set in a unique world. The Luminari are venturing out to the lowlands with a secret in tow and must face the living dead in the process; the warriors known as Horselords are swift and vicious in battle, but their leader is not faring too well in health; ship-traveling companions must thwart a giant sea beast in order to continue along their journey. The ways of the past are returning, meaning chaos for all cultures. Doc Savage #3 is where this title REALLY gets going. Without even realizing it the first two excellent issues have, while we thought they had just been stand alone stories, set up a great story that really gets moving in this issue. Author Chris Roberson really kicks things up a notch in this issue. The first two issues have each taken place in a different decade, and this one is no different. Taking place in the early 1960s, Doc is ready to reveal the secret of his longevity and seeming lack of aging. But, of course, some people don’t want that secret revealed; they want it for themselves and for their own personal gain. As if dealing with that wasn’t enough, an old enemy turns up to literally take away everything Doc holds dear to him. 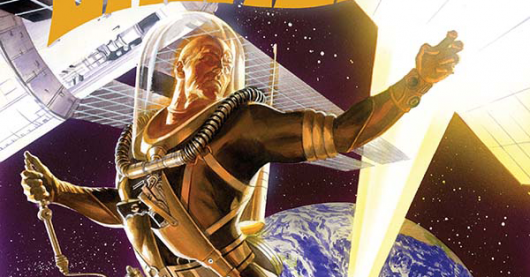 I didn’t think Doc Savage #2 could get any better than the first issue, but I was SO WRONG!! If the quality keeps up, this series could go on forever. Writer Chris Roberson REALLY knows his Doc Savage. And I mean REALLY KNOWS HIS DOC SAVAGE! This new issue is set 10 years after the first one, and there’s some really interesting twists and turns in the ongoing story. What’s even more impressive is that this is a total standalone tale, but with the way Roberson tells it, it’s very evident that this is just one chapter in an ongoing arc. The writer introduces a lot of hallmark Doc Savage trademarks here, the Fortress of Solitude and Pat Savage, just to name a couple. This is one of the most solidly written comics that I’ve read in a while. Straight from the good old 86th floor, the Man of Bronze has returned! 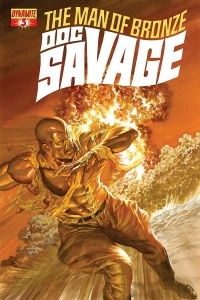 This is a bold prediction from me, but Doc Savage is Dynamite Entertainment’s new Shadow. I see this title spanning multiple spin-offs and miniseries. Not because of any kind of over-saturation planning by Dynamite, but because it’s THAT good, and the character has THAT much potential. I can’t imagine that writer Chris Roberson had it easy. Not only did he have to write a comic book, he had to write one that not only included mind-bending science, but 1930’s “slang” as well. Roll all of those up together and it had to be a pretty daunting task. But, thankfully, Roberson knows his way around writing comics. In Doc Savage #1, Roberson writes a very well crafted first issue, and, I can only assume, the first part of a storyline that is far from over. 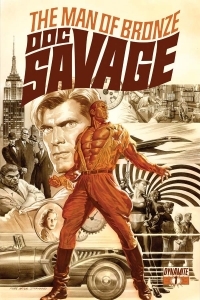 This is a great introduction to the world and characters of the Doc Savage universe, and, on its own, a very entertaining story. 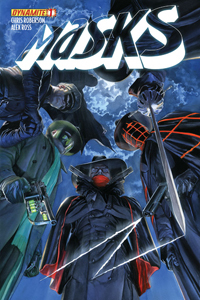 Masks #2 is pulp heroes at its best. I only wish DC Comic would’ve handled their pulp line as well as Dynamite does here. They’ve created a shared universe for all their characters that makes sense, is fun, and turns out to be one heck of a good time. Writer Chris Roberson really goes a fantastic job in this issue. The previous issue introduced the villains and heroes, this is issue is where the team starts to take shape and head into action. A lot of company crossovers seem forced, going to great lengths to bring the heroes together, but here, it’s done in such a natural way, you never even think twice about the believability of the story. Roberson also introduces new characters in this issue and furthers the actions of the villains, forcing the team to get organized and ready to go. This is a REALLY well-written issue, and, so far, the comic reads a lot better in monthlies than it will in trade. 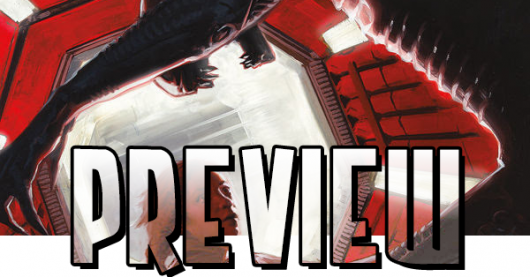 Every issue so far has ended on a cliffhanger and when you’re reading a trade, all you do is turn the page, but it really helps that you get a month break to absorb the story and speculate at what might be coming next month. Masks #1 is not just another mega crossover. It’s the BEST kind of crossover. One that’s natural and organic and one that makes sense. It’s not just another “let’s throw all our characters into one big fight” book. It’s a top of the line, great comic. Dynamite could NOT have chosen a better person to write this, that comic scribe Chris Roberson. He works MAGIC in this book. As I stated before, everything flows naturally, and nothing is forced. The book takes place in the golden age of the pulp heroes, with everyone in their prime. Again, everything is natural and flows beautifully. 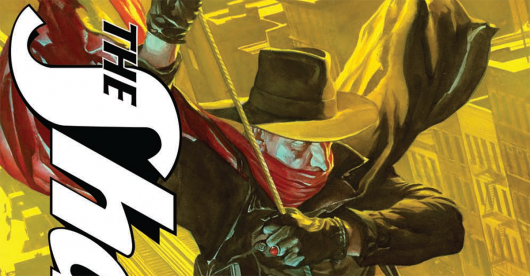 The Green Hornet & Kato follow a big time criminal to New York City where they meet up with The Shadow. I don’t want to give too much away, but other characters follow and are introduced. Also, what I loved about this book is the villains. They’re perfect pulp villains. There’s no all powerful bad guy who holds the city hostage, it’s a natural enemy for the heroes of that time. This is some really solid writing, and I can’t wait for future issues.